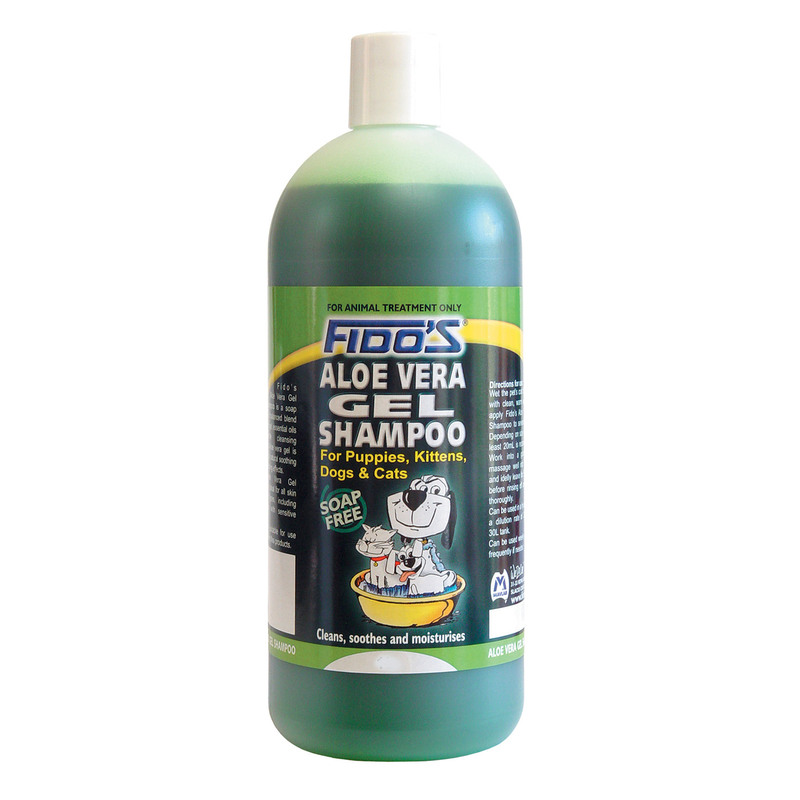 Fido’s Aloe Vera Gel Shampoo is a natural moisturising shampoo suitable for dogs and cats. Enhanced with aloe vera properties, this soap free shampoo has soothing effect while cleaning pet skin and coat. Suitable to use with long term flea control products, this shampoo provides refreshing fragrance. It contains natural ingredient aloe vera and essential oils, which offer extraordinary smoothening effect on the skin. It leaves pets clean and fresh apart from nourishing and enhancing skin and coat lustre. Thoroughly wet your pet’s coat with warm water. Apply shampoo at several places and work up to lather. After leaving for few minutes, rinse off with clean water and dry properly. A soap free moisturising shampoo for lustrous pet skin and coat. The pH balanced formula does not dry pet skin. It cleanses and conditions providing smooth and silky effect. The natural ingredients do not irritate sensitive pet skin. It is suitable for dogs and cats of all ages. I have been using this shampoo on my furry pal since last few months and the results have been amazing. It not only keeps his skin clean, but also provides a refreshing fragrance. It even nourishes and enhances skin and coat lustre. Thank you!!! A great shampoo for dogs!!! I have four dogs and every summer I encounter skin problems on them. This shampoo is the best that I have tried on my furry companions. It has greatly improved the skin condition of my dogs and their coat has become soft and manageable. I regularly apply this shampoo on a weekly basis. I would definitely recommend this shampoo to all those canine friends who are suffering from skin issues.